The ANTARES consortium was established in January 2005 at San Giorgio del Sannio (BN) and is present with its offices in different regions of Italy. 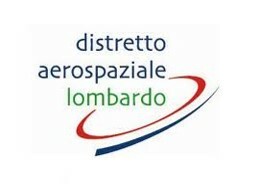 Among its companies, Antares boasts an important international presence, such as OHB Italia, specialized in the development and integration of complete space systems. The Consortium was originally created to promote innovation and SME development in space, with C.G.S. SpA (General Company for Space) as a reference company alongside a significant group of bellies companies with complementary and homogenous experiences. Antares has always been oriented towards the creation of a design and manufacturing reality of components and technologies for satellite applications and telecommunications and remote sensing services, including aspects of Research, Development and Industrialization. The companies, thanks to the experience and systematic collaboration in space and know-how acquired in the equipment, have been able to realize the first developments both in the control equipment as well as in the energy subsystem and the telecommunications of commercial satellites . The same consortium, thanks to this situation, have also acquired the technologies and means needed to build a new generation of small-satellites. The main objective of the consortium is to promote the innovation and development of small and medium-sized enterprises in the reference sector. The strategic goal of the Consortium is to increase, individually and collectively, the innovative capacity and competitiveness of the partner business market, through a profitable integration between them and the optimization of investment in research. Research, development and industrialization of aerospace technologies, optical systems, scientific payloads, telecommunication systems and time-frequency synchronization, software products and hardware for space systems, ground monitoring stations, remote sensing services, telemedicine, design and marketing of solutions Turnkey products and innovative integrated services. Antares is part of the most important associations and category districts, being in some cases a founding partner. ANTARES SOCIETA’ CONSORTILE a R. L.
Corporate capital € 100.000,00 i.v.